This is a black and white photograph of the Ontario Ladies' College chemistry class. 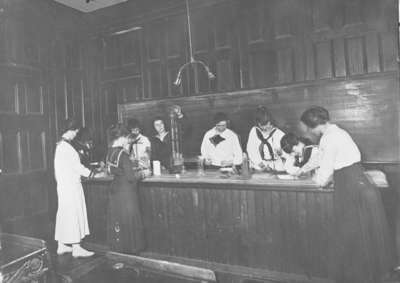 Ontario Ladies' College Chemistry Class, c.1920, James and Sons. Whitby Archives 23-000-222.